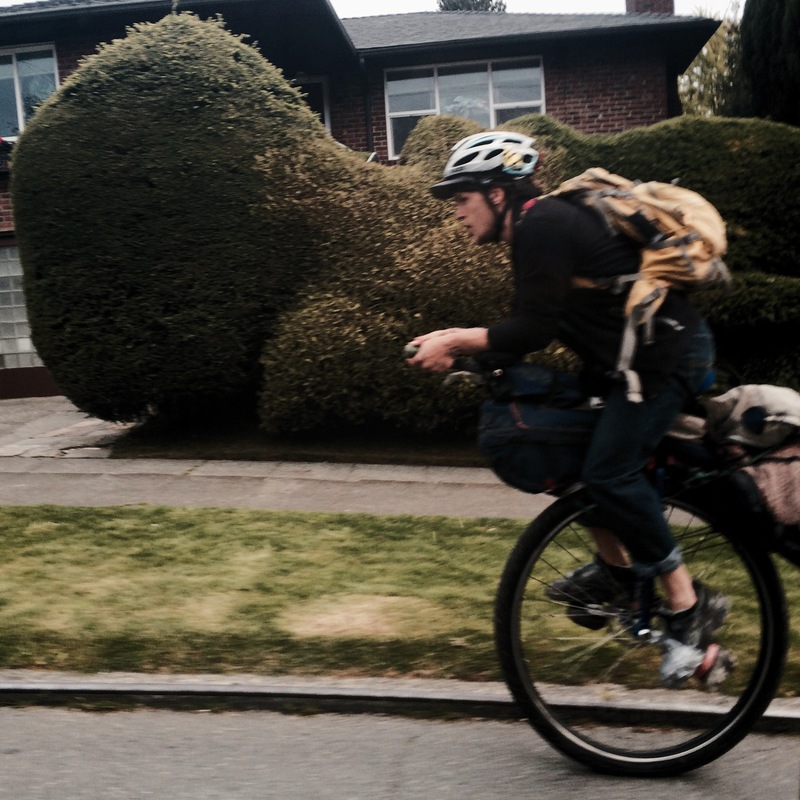 If you’ve been following along on Twitter, last month saw an aerobarred, 36-inch unicycle with panniers in the neighborhood. Didn’t get a photo, but tweeted the sighting and the one-wheeled oddity became like bigfoot. Then the character rode by Hugga HQ and I scrambled to get shots with my phone, pointing it out the window, up and then down the street…grainy and in low-rez, followers were replying back, “we need to see the bones,” like Big Foot. Then on Friday, finally a closer shot. As I learned, these unicycles are built for adventure and I guess he’s training, cause the terrain here is hilly and that wheel is fixed. Where he’s going to ride that, I don’t know…but packed up I’m guessing it’s across Africa or something.